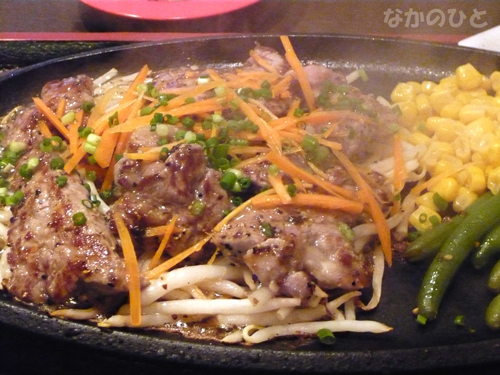 A beefsteak for izakaya. It is treated as not elegantly but more casual than that prestigious restaurant do. You can choose some flavors of sauce from gravy, Japanese sauce, barbeque like that. The garnish is vried like potatoes, carrots, corns, and broccolies. And normally, beefsteaks are cut into slim pieces for chopsticks. I think you know about beefsteak better than Japanese, so I don’t have a lot of informations for you, but please pay attention to this.